On Friday, April 13th, Olympia principals recognized two students from the highest grade level in their building at the annual Illinois Principals Association Student Recognition Luncheon. Students were chosen based on the positive leadership roles they have assumed in their buildings. These students have consistently demonstrated a strong work ethic, a positive attitude, and an intentional effort to demonstrate the essential Spartan Skills as part of their everyday lives. This year we were very excited to have the students' families join us at the recognition for the first time. 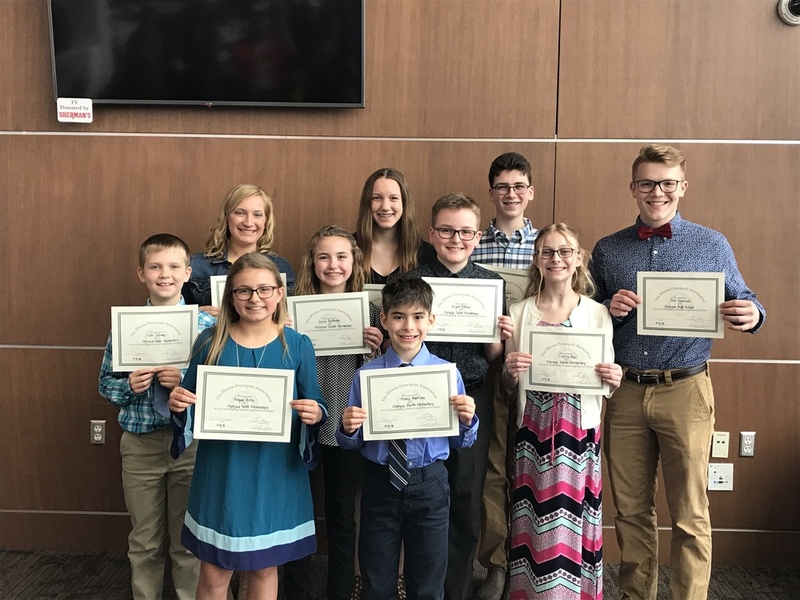 OHS- Chloe H. and Josh K.
OMS- Neil A. and Erin D.
Olympia South- Lydia R. and Elijah B.
Olympia North- Mateo M. and Ciarra A.
Olympia West- Tyler D. and Raquel B.